As we roll into the middle of February, we are a few short weeks away from the beginning of the true off season frenzy. 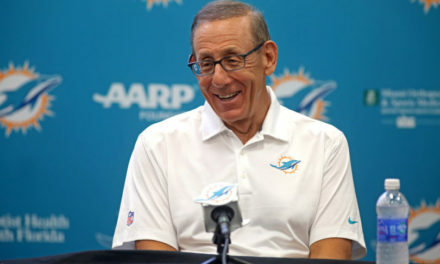 Teams will begin making moves to their rosters and we will have a better sense of what direction teams will go for free agency, leading up to the 2019 NFL draft. 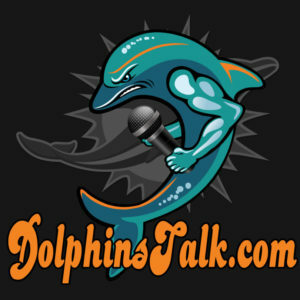 The DolphinsTalk.com 2.0 Mock Draft features a ton of movers and a brand new #1. This is our full first round mock, including a shorter version of the Miami Dolphins 7 round mock draft. Let the criticism begin! 2. San Francisco 49ers- Nick Bosa, DE Ohio St– Falling into the 49ers lap is a blessing. They have very good interior linemen but can use a dominant pass rusher. Yes, 3 years in a row with a DL with their first pick. Could also see Josh Allen here. 3. New York Jets- Josh Allen, OLB Kentucky– Jets fans will hate the fact there will be another defensive player taken in round one but Josh Allen is someone that can thrive in a Gregg Williams defense. 4. Oakland Raiders- Ed Oliver, DE/DT Houston– Oliver is a hybrid DL who can play end or inside. The Raiders can certainly use someone, since, you know those elite pass rushers are hard to find.. oh wait..
5. Tampa Bay Buccaneers- Rashan Gary, DE Michigan– Gary has been moving up draft boards. He will take over for Vinny Curry, who flat lined last year in Tampa. 6. New York Giants- Dwayne Haskins, QB Ohio St– I don’t need to go into detail here. We know why this makes sense. 8. Detroit Lions- Brian Burns, DE Florida St– Brian Burns was excellent at FSU and has a good ability to set the edge. Lions are saying goodbye to Ansah, Burns will start day 1. 9. Buffalo Bills- Jawaan Taylor, OT Florida– Bills made tons of changes to their OL in 2018. Their line struggled. Taylor will slide right in as Allen’s LT to protect their investment under center. 10. Denver Broncos- Drew Lock, QB Missouri– This is the worst kept secret coming into the draft. Elway loves Drew Lock. So this is logical. 11. Cincinnatti Bengals- Jonah Williams, OT Alabama– QB or LB isn’t out of the question here either, but they need a bookend tackle to pair with Cordy Glenn. Dalton is getting up there in age and having 2 solid tackles will help keep him healthy, longer. 12. Green Bay Packers- TJ Hockenson, TE Iowa– This is and isn’t a shock. Aaron Rodgers would love Hockenson’s athleticism in the red-zone that Jimmy Graham can no longer give. He is also a very good hand in the ground TE who can open up lanes for RBs. 13. 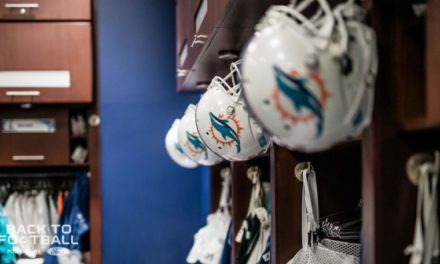 Miami Dolphins- Cody Ford, OT/OG Oklahoma– Not the sexiest pick but Flores wants to build the trenches. Ford is a bull and plays with ferocity. He can play RT or LG, depending on Ja’Wuan James status. 14. Atlanta Falcons- Clelin Ferrell, DE Clemson– Ferrell made himself a top half of the draft pick with his performances in 2018 and the CFP. Falcons get help on the DL. 15. Washington Redskins- Greedy Williams, CB LSU– I can see them trading back or reaching for a QB here, but Greedy Williams is just too good to pass up. He can learn under Josh Norman. 16. Carolina Panthers- Montez Sweat, DE Miss ST– Juilius Peppers retired and their pass rush stunk most of last year. Sweat brings energy to a unit that is getting older defensively. 17. Cleveland Browns- Jeffrey Simmons, DT Miss ST– Simmons is a massive man and provides that extra punch next to Myles Garrett. He can shoot the gap quickly and get after the ball carrier. 18. Minnesota Vikings- Chris Lindstrom, OG Boston College– Kirk Cousins struggles at times when he needs to push the ball. Lindstrom will help open up lanes for Dalvin Cook and protect Cousins on inside pass rush. 19. Tennessee Titans- Kelvin Harmon, WR NC State– I can see OL here but Harmon will give them the ability to open up more in the passing game. 20. Pittsburgh Steelers- DK Metcalf, WR Ole Miss– With Brown in some domestic trouble as well as team trouble, the Steelers move on to Metcalf. He is difficult to cover and can really open up the passing offense more. 21. Seattle Seahawks- Christian Wilkins, DT Clemson– He falls to the Seahawks and they pair him with Jarren Reed. Wilkins can rush the passer and disrupt running plays. Wagner will eat more with him in the fold. 22. Baltimore Ravens- Dalton Risner, OG Kansas St– Marshall Yanda isn’t getting any younger and Risner is the type of aggressive guard the run heavy Ravens need. 23. Houston Texans- Byron Murphy, CB Washington– Texans can no longer rely on 34 year old Jonathan Joseph. Murphy can play in zone and man to man with no issues. 24. Oakland Raiders (from Bears)- Nasir Adderly, S Deleware– Adderly is a prototype Free Safety that will be able to provide some versatility to the putrid back 4 for the Raiders. 25. Philadelphia Eagles- Devin White, LB LSU– With the Eagles likely losing Brandon Graham, they need to find a replacement in White. White should be able to play inside or outside at the next level. 26. Indianapolis Colts- Dexter Lawrence, DT Clemson– Lawrence has some flaws (PED suspension) but that won’t stop the Colts for taking him. Colts need to get better in the middle of that DL. 27. Oakland Raiders (From Cowboys)- Mack Wilson, LB Alabama– The Amari Cooper pick turns into Wilson. He is very instinctive and plays hard. 3 down LB for Gruden is huge to revamp the defense. 28. Los Angeles Chargers- Noah Fant, TE Iowa– Gates will likely hang it up and Hunter Henry coming off a blown knee almost a year ago. Fant is the second Iowa TE in the first round and provides that 2 headed monster continues at TE for the Chargers. 29. Kansas City Chiefs- Irv Smith Jr, TE Alabama– Kelce is the man but Irv Smith provides another receiver option for Mahomes. He also provides as another elite run blocker. 30. Green Bay Packers- Jachai Polite, DE Florida– Packers get their new pass rusher to replace an old Clay Matthews and Nick Perry, who is likely moving on. 31. Los Angeles Rams- Deionte Thompson, S Alabama– Rams need a bookend safety and Thompson is a very good tackler with very good ball skills. But don’t be surprised if he goes in the top 20 either. 32. New England Patriots- Daniel Jones, QB Duke– Total Belichek move here. Jones has some good qualities but he isn’t fully polished. So he learns under Tom Brady and potentially they have a heir apparent when McDaniels takes over. 2. 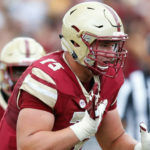 Zach Allen, DE Boston College– Zach Allen has first round qualities, but for some reason he seems to be dropping back, so if he falls here, the Dolphins find a very good edge rusher that needs some polish at the next level. 3. Elgton Jenkins, C, Miss St– If the team moves on from Kilgore, Jenkins could slide in to start right away. Could even teach him to play RG. Trenches being rebuilt in the draft is what the team is looking to get. 4. Jarrett Stidham, QB Auburn– Stidham has a laser arm. I would be shocked if he falls to the 4th round but in the simulation, he did. Chris Grier stated he doesn’t mind taking a QB in 2019, so why not take the big armed Stidham to compete for a starting job. 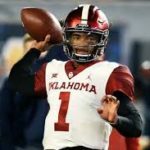 Team will still look at 2020 to grab a QB as well. 5. David Sills V, WR West Virginia– Sills account for 32 TDs his last 2 seasons at WVU. 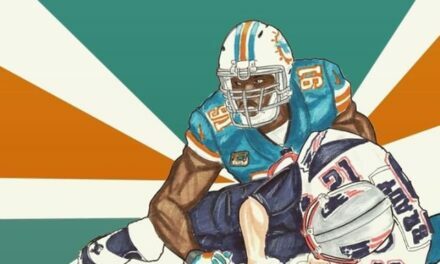 Think of him as a bigger bodied Edelman in Miami. 7. Cameron Smith, LB USC– IF he has a good workout and combine, Smith should shoot up boards. Very instinctive line backer. 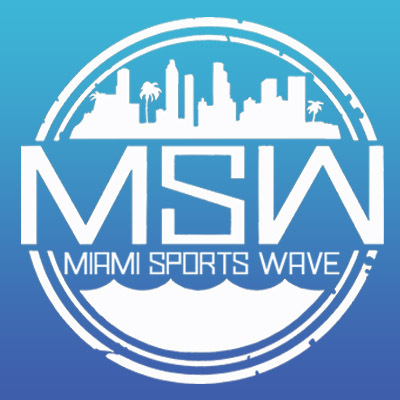 Nightmare Season is Over: Who should Miami Target? Who Will Rush the Passer for the Dolphins in 2019?